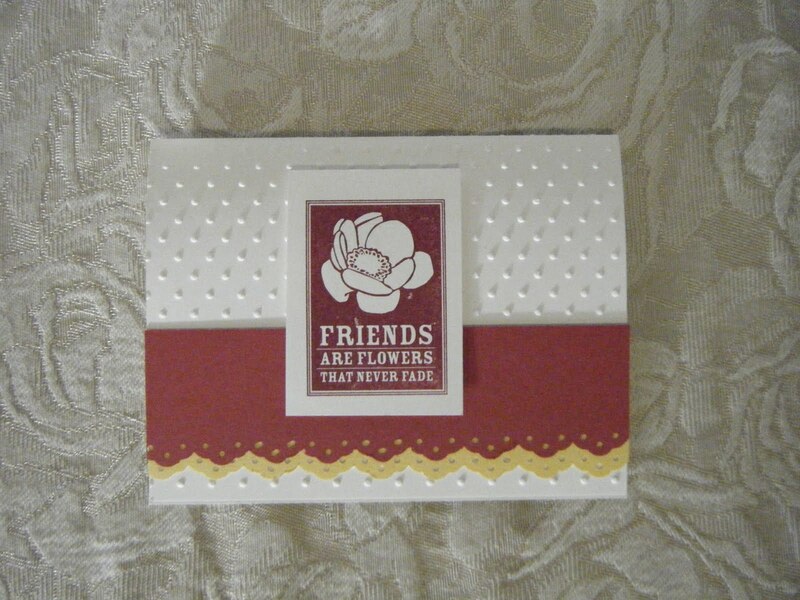 This is one of the Stamp Camp cards we made. I love this color combination so much, I used it again. The lay out is slightly different. This stamp set is becoming a favorite of mine. 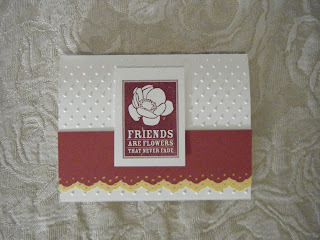 I really like all the embossing folders Stampin' Up sells. This one is called Perfect Polka Dots and is on page 214. Very pretty...simple but elegant. Love that set and great colors!! !